When I wrote about my extensive skincare routine recently, I was delighted that a rake of fellow skincare freaks came out of the woodwork to talk skincare with me. Last week, when I wrote about oil and balm cleansers, again the nerds came forth to commune. Much was discussed, and I'm really impressed by how well informed Irish women tend to be about their skin and skincare ingredients. There is one area, though, which seems to be more confusing than the rest. Come forth, my variously-complexioned friends, for today, we discuss toners. And then some. People tend to react badly when they ask me about skincare and I suggest they try using a toner. In general, the response is a horrified 'But I can't use toner - I have dry skin!' Usually, people think that a toner will either do nothing at all or completely dry out their skin. And they are utterly right. 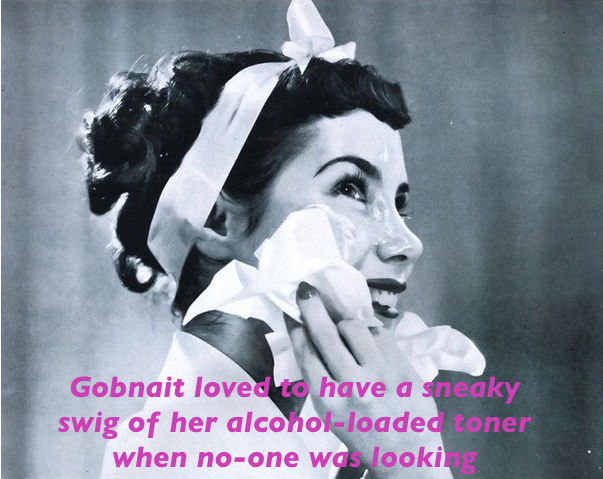 Toners (in the classic sense of the word) were alcohol-loaded products designed to dissolve oil. If you were a glamorous, makeup loving lady back in the day, then you'd remove your makeup at night with something along the lines of cold cream (think of a thick, creamy makeup remover like products from brands such as Simple). So you'd whack a load of that on, the oil in it would melt your makeup, and you'd tissue off the excess. Except that then your face would be oily from cleanser. To dissolve the layer of greasy cleanser (so that there's no barrier to the absorption of your skincare - it's not getting through a layer of oil) , you'd need an alcohol-based product. This is an old-fashioned toner, and my God, is it evil. These days, cleansers are more effective and we don't need to dissolve residue after cleansing. So that sort of toner is marketed to people with very oily skin and acne. If you suffer with these issues PLEASE don't use these products unless they're prescribed by your dermatologist and you really must. As someone with a long history of acne I can fully appreciate the frustration of clogged, dull, sore, red, bumpy skin that feels smothered by its own horrid oiliness. You just want it to go away, so you try to dry up the oil with alcohol. And alcohol will dry up your oily skin very briefly. Then it will make it much, much worse. The more alcohol you apply to your skin, the more you encourage oil production. You'll end up with more acneic and oilier but tight, flaky, painful skin. Avoid. So... when a modern skincare geek is talking about toning, they are talking about acid toning. Don't be frightened of the terminology. It simply refers to the use of products which contain AHAs (Alpha Hydroxy Acids) like Glycolic Acid to increase cell turnover in the skin and keep it smooth and at the optimum level of absorption for skincare. AHAs are used by dermatologists for chemical peels, but the levels contained in exfoliating (or acid) toners are very minimal. Obviously, you should tailor the AHA percentage in a product to the sensitivity of your skin. The more sensitive or reactive your skin, the lower the percentage of AHAs you should use in your toner. Obviously, acid toning is beneficial for any skin type - except hypersensitive skin or for anyone with associated allergies, obviously. However, there is one essential point to remember when using any product which contains AHAs. These products make your skin sensitive to sunlight, so you MUST use a separate SPF. Using a moisturiser which contains SPF is not enough. If you don't use SPF every day while using AHAs, you will prematurely age and genuinely damage your skin. You've been warned! This is my favourite toner of all time, and has made more of a difference to my skin than anything else I have used on it. Ever. I use this twice daily after cleansing and before hydrating and moisturising. This does contain a small amount of alcohol, which I don't like, but this is counteracted by some of the other nice ingredients like glycerine, so it won't dry out your skin. If I stop using it for two weeks, I can see the difference in my skin. It looks more congested and doesn't feel as smooth or soft. It's also more prone to breakouts. 'Nuff said. This toner contains just 2% glycolic acid, so it's suitable for more sensitive skins but will still encourage cell turnover and brighten the skin. It also contains aloe to sooth and soften. This toner is the gentlest on the list. 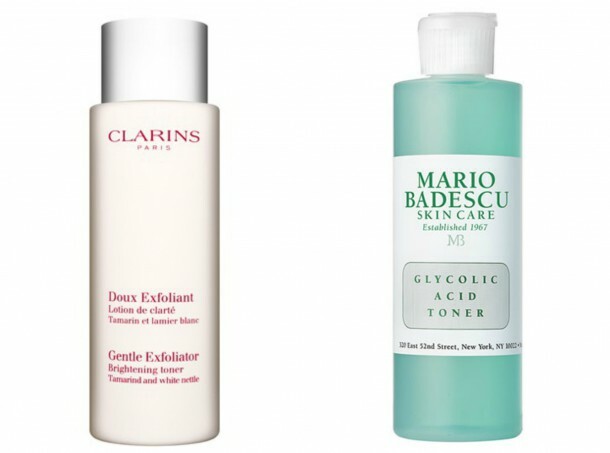 Rather than the more vigorous glycolic acid, it contains lactic acid which will provide more gentle exfoliation. Again, this one contains some alcohol, but there are other ingredients which compensate for this. If your skin cannot tolerate glycolic acid, then this might be a good option for you. This product is more of an exfoliating mask than a toner, and it contains a rather high concentration of AHAs. You might notice some stinging when you first apply it, but it provides very effective exfoliation and is great for oily, congested skin. There's also a generous measure of hyaluronic acid in there which ensures that your skin will not be left feeling dry. If you want to tone, you need to do it this way. Alcohol is not your skin's friend! Do you believe in toning? 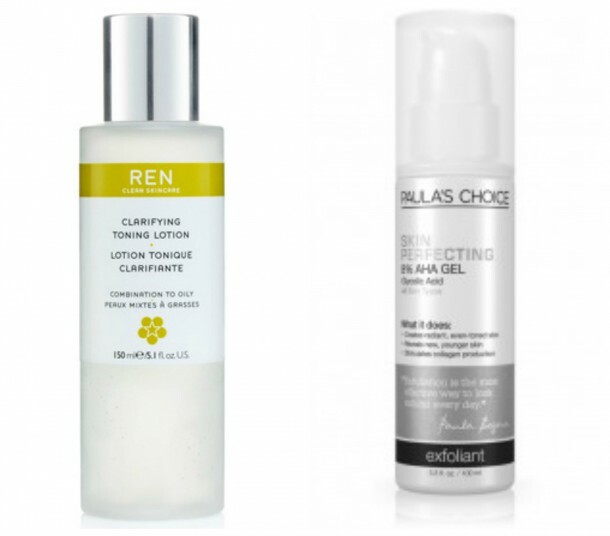 And have you tried any of these exfoliating toners? 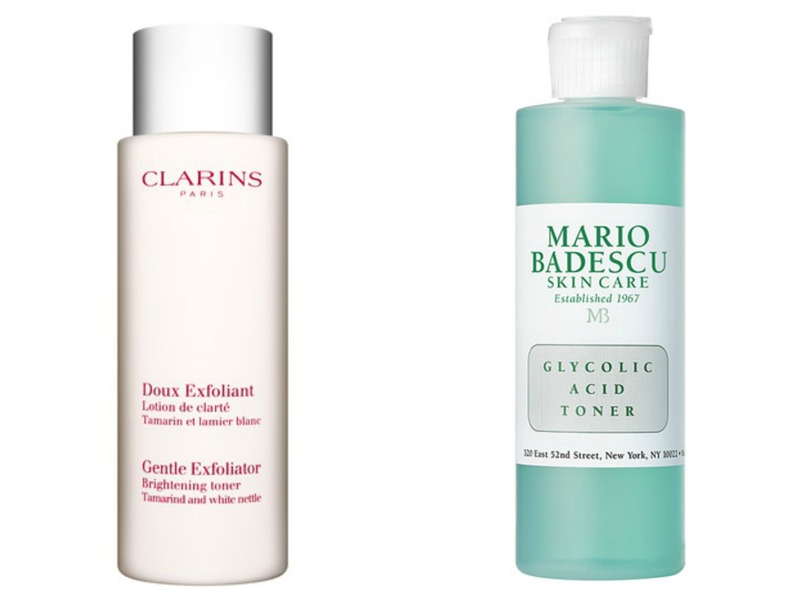 Glycolic Acid Demystified: What Is This Wonder-Ingredient?